Choice Hotels Asia-Pac has more than 300 hotels across the Asia Pacific region, totalling in excess of 11,000 rooms and making it the region’s largest hotel franchise group. Brands underneath the Choice Hotels banner include the Ascend Hotel Collection, Clarion, Quality, Comfort and Econo Lodge. 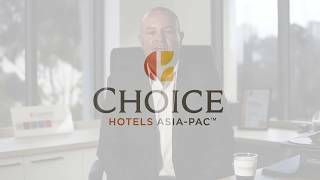 Choice Hotels Asia-Pac is a 100 percent owned subsidiary of Choice Hotels International, a publicly listed (NYSE: CHH) company in the United States with more than 6,500 hotels and 500,000 rooms in more than 35 countries and territories. Our Sales and Marketing team, along with our Franchisee Services team, work tirelessly to deliver innovative strategies aimed at adding more guests to your hotel, more loyal customers and more exposure for your brand. Being the face of your own hotel means interacting with new and regular clients, a personable and friendly approach will reap huge benefits in this industry.